How much do Airsoft Guns cost? Pistols, Snipers, Assault & Revolvers. At Airsoft Razorback we know that a lot of prospective buyers are concerned about how much taking up this new hobby is going to cost. Maybe you aren’t a first timer and you’re just looking for a good quality airsoft gun that won’t cost an arm and a leg. Here are a few basics to give you an idea of what to expect. You can use this information to make an informed purchasing decision. How much airsoft guns cost tier by tier breakdown? What are the price differences according to specific gun options and user specifications? 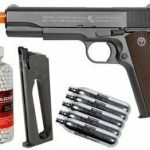 How much are airsoft pistols? How much are airsoft snipers? How much are airsoft assault rifles? 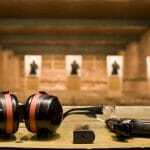 What about the price of airsoft revolver guns? How is the cost going to be effected for different airsoft guns based on variables such as brand, materials, etc.? What’s the best airsoft gun to go for in terms of suitable for beginners, enthusiasts? 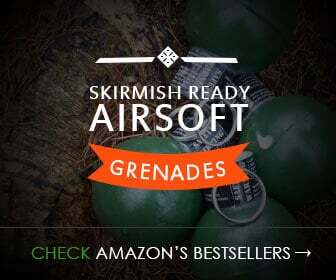 If you’re serious or looking to be serious at some point in the future, then you’ll need to spend a reasonable amount of money to purchasing an airsoft weapon. Lower end options aren’t really made to give you the most bang for your buck. Plus they tend to state specifications that can’t be relied upon over time, usually fairly quickly. If the goal is to get several upgrades to your ASW (airsoft weapon), then you don’t want to waste money going too low on price. Upgrades to inferior grade ASWs just might not be worth it. Instead what you would want is an airsoft gun that would qualify as being at least mid-tier. In this tier you can find some of the more trusted brands as well. 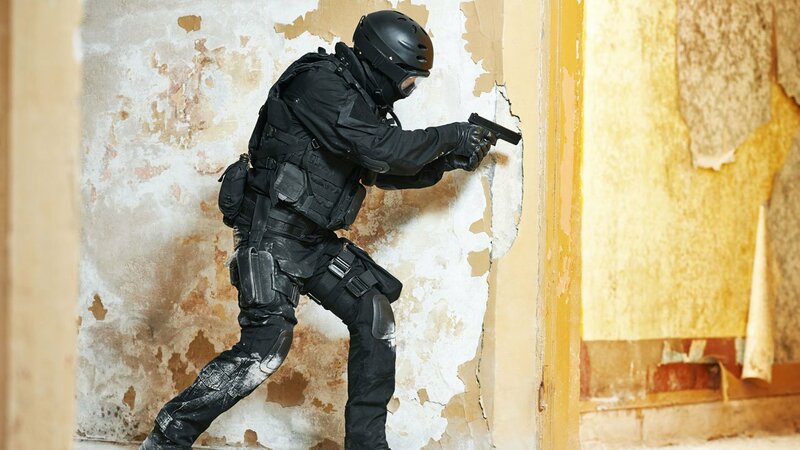 For the serious potential airsoft player they should be looking to spend at least $180-$240. This will ensure that you had access to several mid-tier options. We’re dealing with the absolute lowest tier of airsoft guns in this price range. At AirsoftCore we feel that if you don’t have at least this much to spend, then it’s probably a good idea to wait until you do. If you purchase below this price point, then you can’t hope to get any good out of your ASW in terms of accuracy or range. Durable will also be questionable. 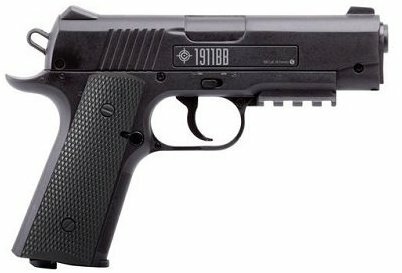 In this price tier users can expect to find a lot of standard airsoft guns that would qualify as entry/beginner level. There are respectable manufacturers in this tier such as Echo 1. In this price tier users can expect to find versions of entry level options that are upgraded in different ways. Lots of reputable manufacturers are in this tier and the price range stated is the starting point. Just understand that upgraded versions of specific airsoft guns aren’t always that much superior to their entry level counterparts. At AirsoftCore we can assist you in making this determination for yourself. Although this is a somewhat high price range, the issue some will have is that they’ll notice a lot of what we call clone options in this tier. This doesn’t always have to be a problem for some, but there can be issue concerning other things such as internals. Once again we can assist you in determining what is right for you. If you’re looking for higher end options, then in this price tier you can certainly expect to find them. If you’re willing to spend even more than this amount, then you can expect to find airsoft guns that are of extremely high durability and have superior accuracy. You’ll also have access to some of the top tier manufacturers in the business such as Tokyo Marui, ICS and KWA. At AirsoftCore we feel it’s going to be very important for users to understand what they want and why they want it. This means not allowing people to tell you what is best, but based on your own research determining what’s best for you. Factoring in everything that was mentioned above, the main variable here would be how realistic do you want the airsoft pistol to be? If you go for lesser brands, then you can find a lot of models that are decent imitations of higher end options. We don’t want to provide an exact price point for airsoft pistols, because we feel like there is no anyone price point that can be relied upon, depending on what a user wants at AirsoftCore. We feel the main focus in order to ensure customer satisfaction should be a pistol that’s simple to use as well as compact in order to make storage hassle free. We feel to mention a specific price point here we would have to focus on a range, but this can’t always be relied upon. So what we at AirsoftCore recommend is that prospective users of airsoft sniper rifles focus on creating a budget within reason. You can find something that’s fairly low cost, without having to sacrifice quality. Believe it or not you can find a variety of airsoft sniper rifles that are durable, have long range capabilities and are accurate on a fairly small budget. Focus on selection and different manufacturers. If you want high performance, then the amount of money you spend in this regard has to be at least moderate. At AirsoftCore we want users to think about how what they want will impact price, rather than providing a specific price point. For instance do you want military replicas that are very realistic looking? What about very nice looking futuristic design weapons? Do you want replicas of military weapons that would qualify as being common such as the Kalashnikov AK-47 or other well known options? All of this is going to impact price. First we want potential users of airsoft revolver guns to understand that these aren’t the same as pistols. These guns are designed to look very similar to and imitate the feel of a true to life revolver. You can find these for a low cost or you can go for professional grade models that will be more expensive. These are the types of options that can be utilized in competitions. The cost of different brands is going to differ, because there are of course high end brands, mid-level brand and low end brands. First we want to make users aware of what are called clone manufacturer brands. These are brands not made as good as the higher end options, but can provide decent value and be a good starting point for some. Some of these makers would include A&K, AGM, Asian Electric Gun, CYMA and G&G. Some of the mid-tier brands where users can expect to spend more a bit more would include, Classic Army, JG, and G&G. The higher end models are where you can expect to spend the most money. 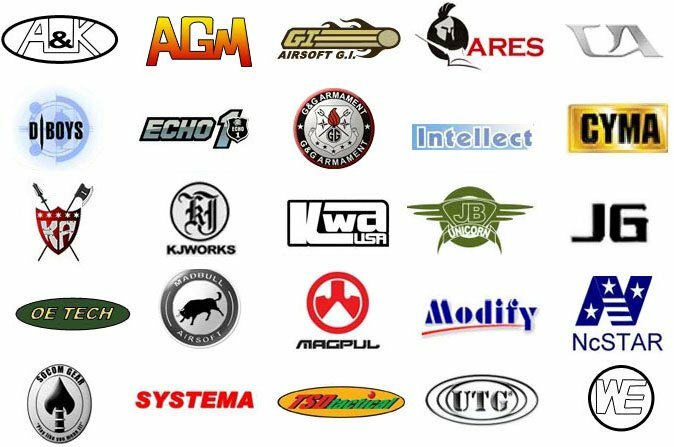 Some of these brands include KWA and Tokyo Marui. Airsoft magazines are critical for an airsoft gun of any type. Most users will prefer to have more than one. There are high capacity magazines, mid capacity as well as basic or standard capacity options. Price may vary depending on where your gun is gas, electric or sprung powered. You’ll need to look into what type of BBs you want as well as this can impact FPS. Higher quality options are more expensive. Standard options are typically plastic. There are different brands and weights of BBs. You can find them in biodegradable ammo form or steel made. All of this will impact price. Understand that if you have a higher powered airsoft gun of any type, then these will usually require heavier BBs. Check out BBs designed for target practice to help you work on your shooting technique with ease, or opt for versatile biodegradable ammo constructed for both indoor and outdoor use. No matter your shooting venue, plastic- and steel-constructed pellets help deliver reliable, accurate performance to suit your needs. At AirsoftCore we feel that beginners need to focus on options that are easy to handle above all. This will allow them the best chance to get comfortable and practice in different ways on their way to improving their skill. Enthusiasts can opt for models that are as close to real world guns in make and feel as possible. Classic options or collectors additions also wouldn’t be a bad idea. No matter what amount of money you have to spend on an airsoft gun, at AirsoftCore we’re confident that we can provide an option suitable enough to meet whatever value point you care most about, whether it be make, feel, accuracy, range, durability, etc.